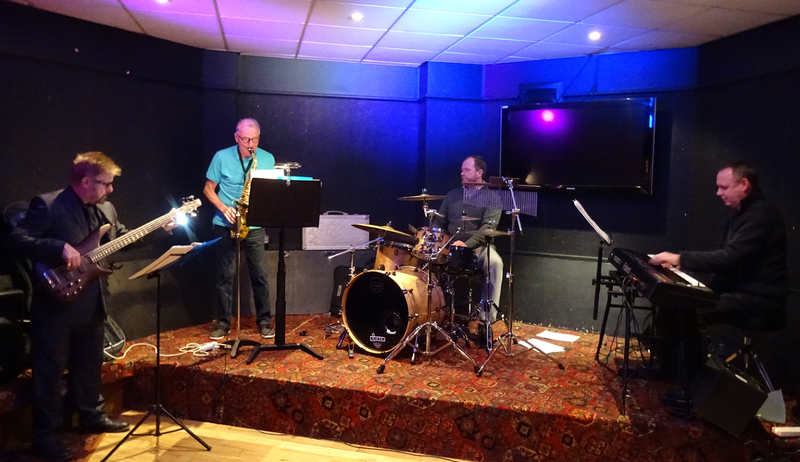 Well-known alto sax player Ray Dales brought his quartet as the guest band to Tees Hot Club's Guest Band Night at Dormans Club Middlesbrough on March 29 with Rick Laughlin on keyboard Peter Ayton on bass and Stuie Ellerton on drums completing the lineup. and Sonny Rollins Pent-Up House with terrific solos from both Ray and Rick. After many more well-known numbers, they finished off the night with the ever popular St Thomas.